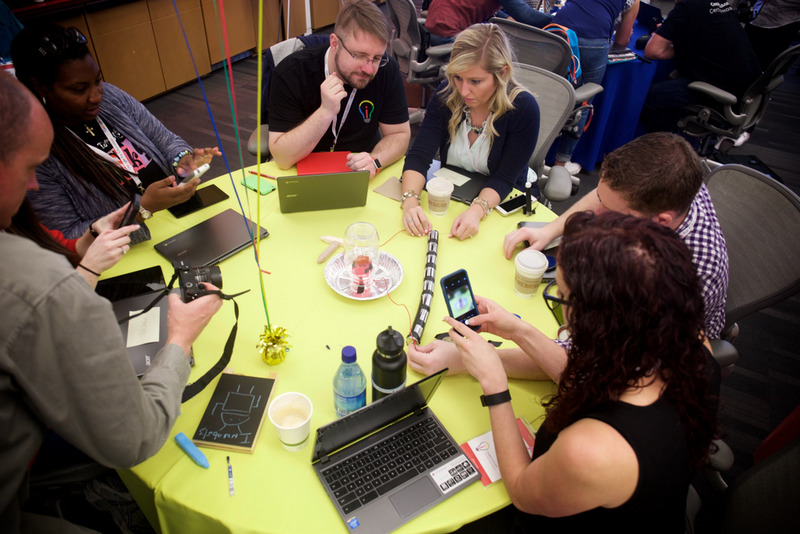 Editor’s note: Teachers are always brainstorming creative ways to introduce technology and project-based learning into the classroom. 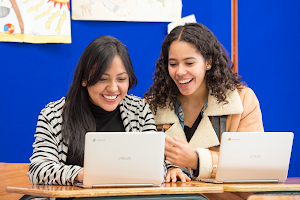 Designed to challenge educators to pursue their creative ideas, the Google for Education Certified Innovator Program offers support for projects that improve education in schools around the world. Over 12 months, educators conduct research, solicit feedback from peers in their cohort and prototype their ideas. Today, we’re highlighting three teachers who participated in the Certified Innovator Program and are inspiring other educators to turn their ideas into action. We are excited to announce the dates for the rest of the 2017 Innovation Academies, the kickoff to the program for each cohort. Applications are now open for our next Academy in Washington DC. Q: What inspired you to pursue your project? Charlie: A few months before I was accepted into the program, I was talking with a colleague about the ‘invisible’ works she does — for example, mentoring a younger colleague in her own time. She isn’t compensated for this work, but does it because she’s passionate about helping others. For a while, I had been trying to find a way to acknowledge teachers for the amazing things they do. The real moment I knew I had an idea worth pursuing was during a reflection exercise with my Certified Innovator Program cohort when we identified what we’re good at — I’m good at seeing the good in others. I was inspired to put that skill to good use. I spoke to Google employees and saw their enthusiasm for a tool called gThanks, an online site where people post messages of gratitude. That’s when I decided to adapt the idea for educators and created eThanks. Matt: In science class students often learn by reading textbooks and listening to lectures, but they don’t have much choice in their science projects. I wanted students to explore science in a meaningful, engaging way with real life applications. I came up with the idea for SolverSpace, which is part makerspace and part badging system, as a way to bring innovative tools like 3D printers, time lapse cameras, lego robotics and sensors into the classroom. Carrie Anne: In 2012 I noticed that the majority of students in my computer science class were boys; in a class of 26, only two were girls. 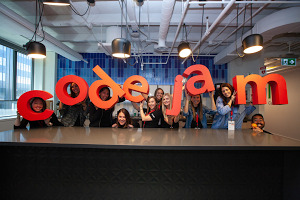 I wanted to change the paradigm around women and technology by sharing the stories of women doing technical jobs. Then I met James Sanders [founder of Breakout EDU] who introduced me to educational videos on YouTube. That’s when I realized I could use YouTube to inspire girls to pursue STEM. I started interviewing women in computing, science, technology and engineering roles and featuring them on Geek Gurl Diaries to challenge their perceptions about traditionally geeky subjects. Q: What was your biggest takeaway or learning from the Innovator Program? Charlie: The check-in points and milestones made sure we were engaging in regular reflection about designing our projects. Without the program, this would have been a fun idea that I likely wouldn’t have acted on. Having accountability partners and mentors inspired me to create something that I would be proud to share with my cohort. Matt: A turning point for me was when I talked to a couple people in my cohort about my idea and they said, “Have you thought about design thinking?”, which I had never heard of. After talking for 10 minutes, I instantly knew this concept would be central to my project. Had my cohort peers not exposed me to design thinking, I likely would have spent tons of time reinventing the wheel. Q: What was your biggest learning once you launched your project back at your school? Charlie: When I returned from the on-site program, I wanted to dive in, so I ran a summer pilot at my school. Immediately teachers started posting thank yous and more people were smiling on campus. The expressions of gratitude online encouraged people to say thanks in person too. That pilot period reinforced in my mind that you need to just start. I went into the program with a big, bold idea of transforming the culture of feedback in schools, and I realized I should start with a small part of the puzzle. Carrie Anne: One of the biggest things I learned from this project was if you build it, people will come. I was passionate about creating this series of videos, but didn’t know if young girls would watch them. You have to have faith in your ideas. Now I get emails all the time from kids around the world saying they watched a video and were inspired. Their “thank you” emails make every moment of this project worthwhile. Q: What advice do you have for educators who have innovative ideas and need help putting them into action? Matt: Extend your arm to those in your community and great things will happen. When I started tweeting about the project, an engineering professor at the University of Wisconsin responded and asked to partner his college students with my fifth grade students to work on projects and learn from each other. For example, our district occupational therapist asked our class to build a modified utensil for writing to help a student who doesn’t have full use of his wrist. Our students fully embraced the problem and worked together to come up with a solution. Carrie Anne: Say yes and try new things. If you never try something, you’ll never know how it could have turned out. I could have failed hard and fast, but I was passionate about this project, so regardless of the result, I knew it was the right thing to do. Failing is a first attempt at learning. When I look back at the first videos I created, they had awful lighting and editing. But if I look at where I am today, I’m not only hosting Geek Gurl Diaries but also hosting computer science videos on CrashCourse. Apply for the Washington DC Innovator Program cohort today or nominate an educator for a future cohort.